So I know that this summer has been substantially warmer than last two summers (and I was pregnant for one of them) but come on this is CRAZY. 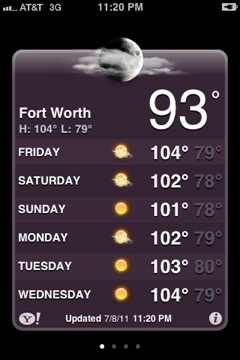 93 degrees at 11:20 PM!! !